Getting You Work And Agents? 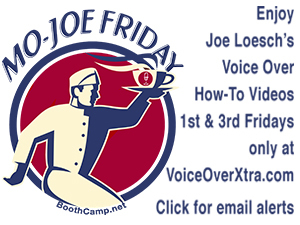 Note: The author will present the session, How to Find Your Signature Voice Over Personality, at Voice Over Virtual, the giant three-day online conference in September. Please click for details. So you have your demo, now what? Why isn't the work just coming in? You were told to get a killer demo. You spent the time and money to get it, and you've been shopping it out to "everywhere" - and nothing! Perhaps you're getting a bit of work but few bites? Not meeting the market's needs. The first possible reason to consider, of course, is if your demo is current with today's market needs. Did your demo team understand the needs of the marketplace you are targeting - or their local market only? Your demo length, style and content are very important, and creating just the right demo material is nearly an art in itself. Not capturing your personality. The second thing to consider is if it's captured enough of your unique personalities while still bringing out your signature personality? Is there variety? Be sure to work with your demo team prior to recording your demo so they can pull out your true personality. Lack of demo quality. 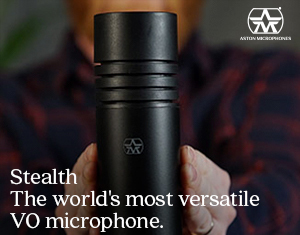 The third consideration is audio quality. Sometimes you can get a really good production team that truly knows production, but that doesn't always mean they know how to showcase talent more than the production. Not being ready? The fourth, and one of the most important concerns, is whether the talent is ready to voice a demo. Unfortunately, many will produce a demo before they are ready - in other words, skilled enough to attract business. Knowing you're ready is very important and not always easy. Lack of marketing. The fifth possible reason is your lack of marketing. How are you getting this demo out to the world? You have to fight your way in these days and be connected to the right people to find work. Waiting for agents to find work, or for agents to find you, is not going to produce the results you intend. Agents can only do so much. You must be aggressive with your career. Here is the thing: It's hard to make a full-time wage in this industry, and while a lot of these talents are not making a fortune, they are still getting work. So they are doing something right. If you get yourself ready, find the right team, get your demo done right the first time, and market your bananas off, you will find work. Old demos. A sixth thing to consider is the age of your demo. Is it current to the times? Have your prospects heard it before? Maybe your demo needs an overhaul. It's a never-ending process - a constant in your career. So prepare for the expense, time and effort needed to maintain freshness in your demos and training. As you grow, you will be able to use actual jobs (if they are demo-worthy). But in the beginning, demos will have to be fabricated. Research your options and work with credible trainers and producers for that. And don't be afraid of producing demos remotely. For instance, I write, direct and produce demos remotely for voice talents worldwide - and find talent are most comfortable when working from their home studio, so it helps alleviate the nerves a bit. 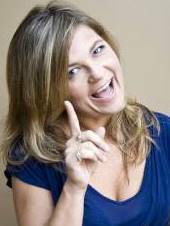 Deb Munro is a leading voice talent, coach, and owner of Chanti Productions, in the Vancouver, B.C., Canada area. 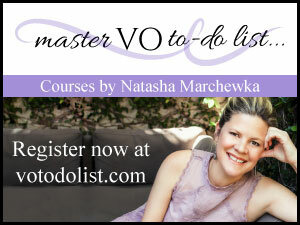 She offers private voice over coaching by phone and Skype, and MIC 'N ME and Double Divas workshops on voice acting, business and demo prep in many Canadian cities.